Health and Fitness Den: Comparing Sunny Health & Fitness SF-T1413 versus SF-T1414 Treadmill, What's the Difference? Both the Sunny Health & Fitness SF-T1413 and SF-T1414 Treadmills are solidly-built treadmills with some premium features and plenty of programs to keep your workouts interesting and varied. 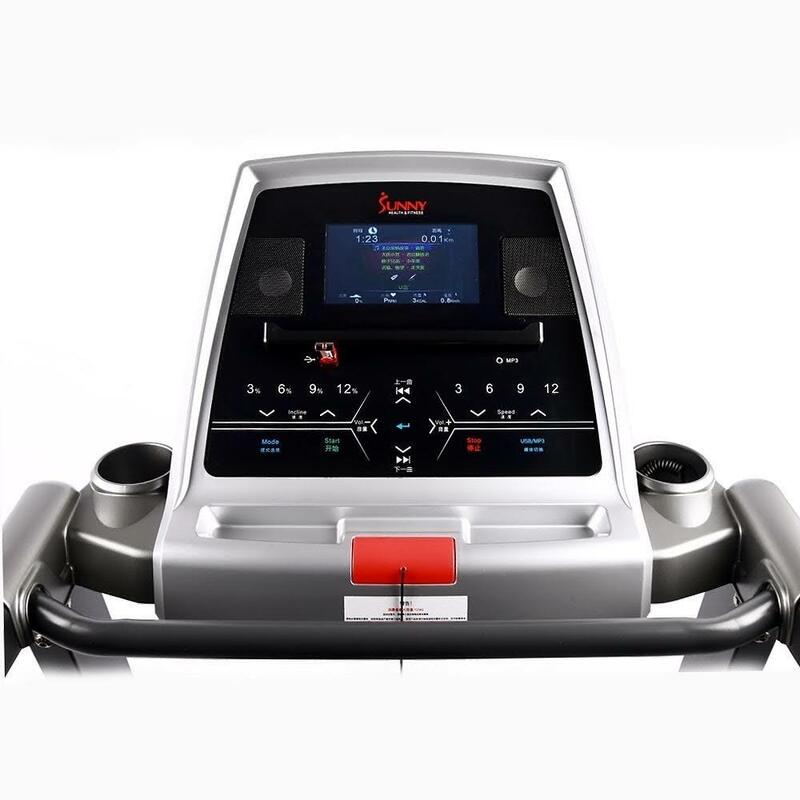 Both the Sunny Health & Fitness SF-T1413 and SF-T1414 Treadmills offer 14 built-in workout programs, together with maximum speeds of 11 MPH and an incline range of 0-15% to keep your workouts progressively challenging. Both Sunny Health & Fitness treadmills come with a workout monitor with a 7” LCD display so you can track your workout stats. Premium features on both the SF-T1413 and SF-T1414 include built-in speakers and USB/MP3 connectivity, along with 2x bottle holders and an accessory tray. Additional features of the Sunny Health & Fitness SF-T1413 and SF-T1414 Treadmills include pulse grip heart-rate monitors, speed and incline controls in the handrails, and an Easy Folding and Soft Drop system for the safe folding/unfolding of the treadmill deck. 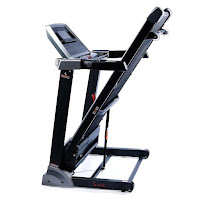 So just how do the Sunny Health & Fitness SF-T1413 and SF-T1414 treadmills differ? To begin with, the Sunny Health & Fitness SF-T1414 Treadmill is the higher-end model over the SF-T1413 and as such comes with a slightly higher price tag (around $200 difference online), so what are you getting for your extra $$s and is it worth paying out the extra cash for? The main differences between the Sunny Health & Fitness SF-T1413 and SF-T1414 Treadmill comes down to the motor power and the size of the running belt, with the SF-T1414 featuring a more powerful motor (3.0 HP compared to 2.75 HP) and a slightly wider running belt (20” compared to 18”). 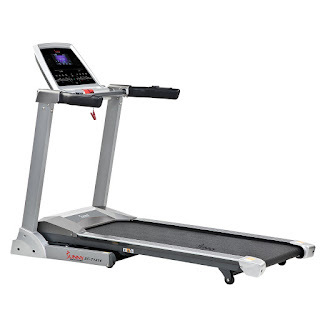 Both the Sunny Health & Fitness SF-T1413 and SF-T1414 Treadmills offer high performance and efficiency and are a great choice for the home gym, allowing you to workout in the comfort of your own home and improve your overall health and fitness. Besides the obvious benefits of toning and weight loss, walking, running or jogging on a treadmill can also help to reduce your risk of cardiovascular disease, and help to strengthen your heart and lungs. For many people, the Sunny Health & Fitness SF-T1413 would be more than adequate for their needs with plenty of programs to keep you motivated. 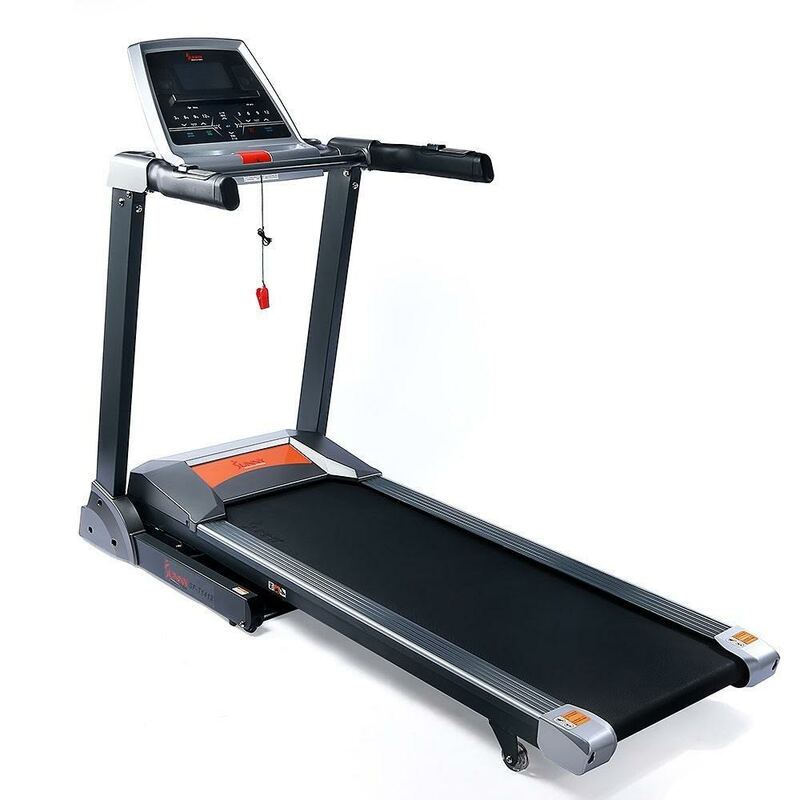 Generally speaking, the more powerful the treadmill motor is, the more heavy-duty the treadmill will be, making the Sunny Health & Fitness SF-T1414 more suitable for heavier use and for taking more of a pounding!